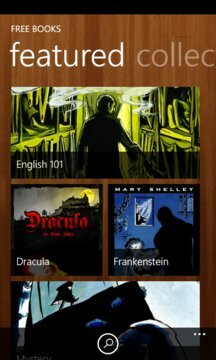 Ah, to describe an app in two words... Free Books is just that- Free Books! Free Books is the world's favorite paid book app. Browse our handpicked collections, download any one of our 23,469 classic books instantly, and read with our fully featured ereader. On the go? We save your place automatically. We've crafted handpicked collections to make browsing a snap, and commissioned hundreds of custom covers. This is the world of public domain literature like never before. Unlike "free" apps that charge you $10 a book, with Free Books once you pay, everything's included. No limits! No download caps. 23,469 classics, in your pocket, for less than a cup of coffee. * Books. Free Books! The plays of Shakespeare, the letters of leaders, the autobiographies of Franklin and Carnegie, the collected works of geniuses, the philosophy of Seneca and Plato. It's all here, along with tens of thousands of other books. * Handpicked Collections. English 101, Theology, Romance, Ghost Stories, Banned Books... the list goes on. We have 61 hand picked collections to make finding great books a cinch. * A Perfect Reader. It's beautiful, fast, and customizable. 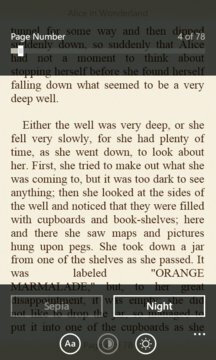 Curl up with a book in Night Mode, change font sizes with a tap, and turn the page with a simple swipe. 4,000,000 people have used our apps over 70,000,000 times- don't miss out!